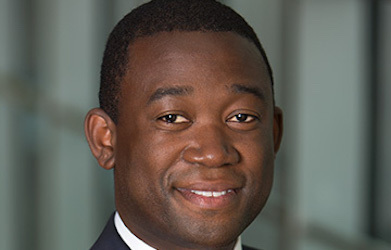 Wally Adeyemo currently serves as a senior advisor at BlackRock. Previously he served as interim Chief of Staff to Larry Fink, the Chairman and CEO of BlackRock. In that capacity, Mr. Adeyemo provided advice on strategic priorities and was responsible for oversight of the Executive Office of the Chairman and CEO. He previously served as senior advisor at BlackRock, providing macroeconomic and geopolitical advice to BlackRock’s investors and clients. Before joining BlackRock, Mr. Adeyemo served as the Deputy National Security Advisor for International Economics and Deputy Director of the National Economic Council. He also served as the President's representative to the G-7 and the G-20. Mr. Adeyemo held several positions at the U.S. Treasury Department, including Senior Advisor & Deputy Chief of Staff. Mr. Adeyemo served as the Treasury Department's chief negotiator for the Trans-Pacific Partnership's provisions on macroeconomic policy. He also served as the first Chief of Staff at the Consumer Financial Protection Bureau (CFPB). Prior to joining the Obama Administration, Mr. Adeyemo was an Editor for the Hamilton Project, a program at the Brookings Institution focused on advancing public policy proposals that contribute to long-term economic growth. Mr. Adeyemo is currently a non-resident Senior Advisor at the Center for Strategic and International Studies as well as a member of the Aspen Economic Strategy Group. He received a B.A. from the University of California, Berkeley and a J.D. from Yale Law School.